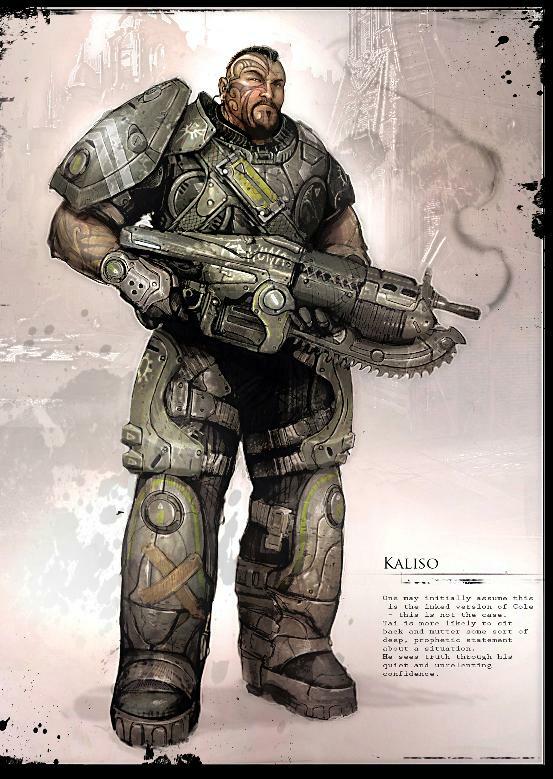 1) Corporal Tai Kaliso (Gears of War 2) - Gears is one of my favourite video game series but strangely, the character I liked most was Tai who only appears in GoW2. Perhaps it's the Mohawk, perhaps it's the south pacific appearance or perhaps it's his peaceful demeanour that drew me towards the character, there is just something that makes him standout from some of the other characters in the series. 2) Max Payne (MaxPayne series) - There's something about the first two Max Payne games that appeal to me, the film noir imagery and story really set them apart from other games. The hard drinking protagonist Max Payne is a bit of an anti-hero, but still makes my list. 3) Crazy Dave (Plants Vs Zombies series) - The best reason to love Dave, he's crazy! He also happens to be the guiding light in the PvZ games and he'll sell you all sorts of things from the back of his car, a true hero. 4) Mario (Mario series) - Growing up, you were either a Nintendo kid or a Sega kid. I had a Game Boy, SNES and a Wii so I played a lot of Mario games ranging from platformers to kart racing to competing in the Olympics against Sonic, I think for the different abilities and power-ups he has access to alone he deserves his appearance on my list. 5) the Hero (Fable series') - A bit of a cheat, as each Fable has it's own Hero, but hey it's my blog ;). In Fable, your decisions allow you to influence the appearance of your Hero as the game progresses, and I think it's because of this that I love both the game, story and the hero my Hero becomes (wow that feels strange to type!). Writing this post has made me realise that I haven't played that many games that aren't either franchise games (like FIFA or the Lego series') or sandbox games (Minecraft etc). I'm sure over time I'll find other games that I have loved previously but have gone to the back of my mind and I'll want to amend this list, but time will tell. This week Lara Croft, Hatty Hattington (BattleBlock Theater) and Solid Snake (Metal Gear Solid) get honourable mentions. Also a special mention for Guybrush Threepwood (Monkey Island series), who has the best name in gaming, if not the world! Are there any Video Game Heroes that I should have included, let me know in the comments below. 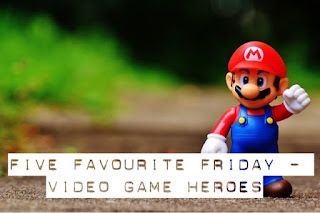 As always, head across to my partners blog to see who her favourite video game heroes are. Perhaps leave a comment on her blog to suggest next weeks topic, as it will be her selection.